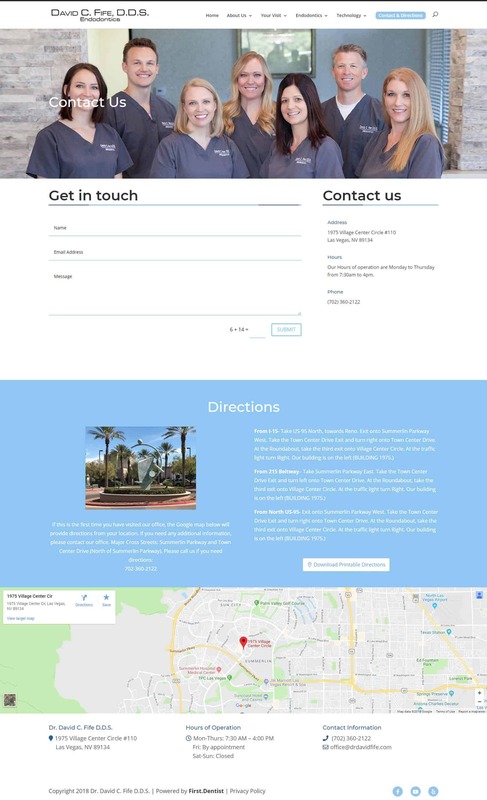 Dr. Fife is one of the top endodontists in Las Vegas and needed a new website that reflected the beautiful office and showcased endodontic technology his office uses. 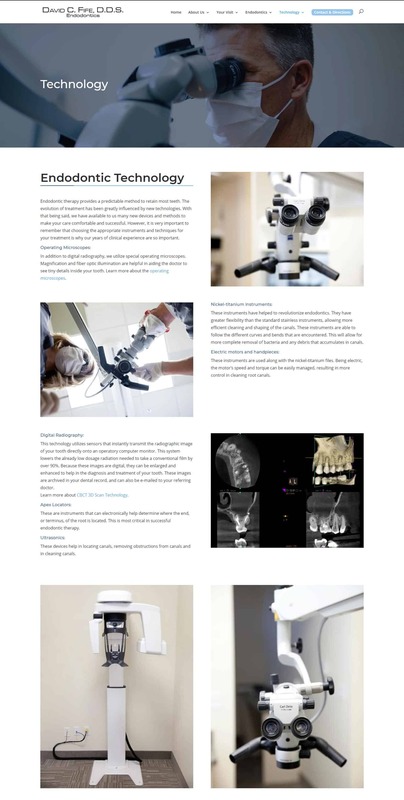 First.Dentist worked with Dr. Fife to create a gorgeous website that featured a video on the homepage and fantastic images. The layout is clean and simple and looks great on all desktop, laptops and mobile devices.